In this busy world, it’s important to press pause on life and take time to nourish your body and soul! On Sunday 17 February, step outside of your busy life and enjoy a replenishing morning of yoga, flowing with the breath and finishing with a deep restful Yoga Nidra practice. 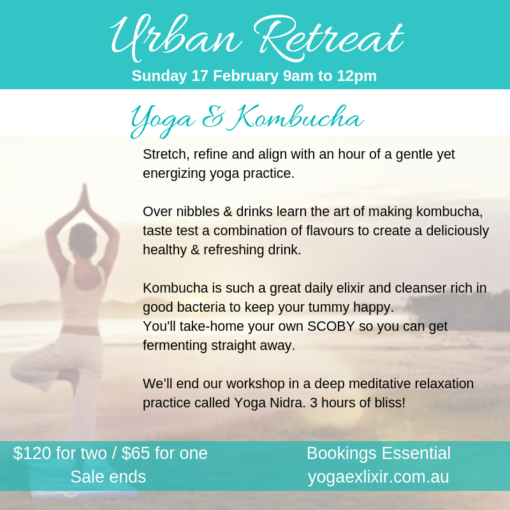 In between, join us in learning the art of kombucha making. Have you ever wondered how to make your own kombucha? It’s so easy once you know how. Such a great daily elixir and cleanser rich in good bacteria to keep your tummy happy. 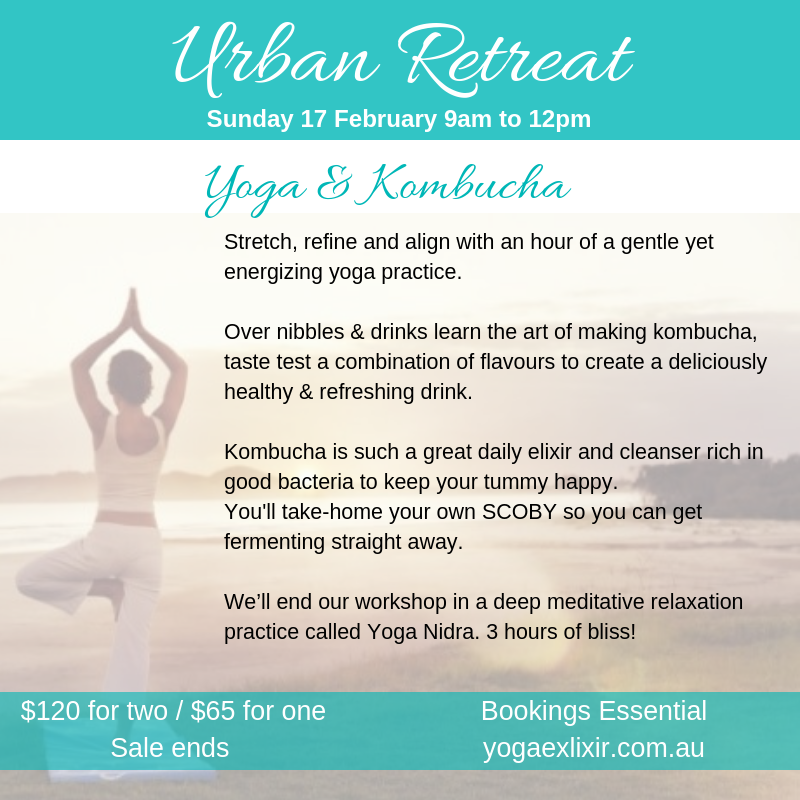 The session will teach you how to make your own kombucha from scratch and includes your very own take-home scoby so you can get fermenting straight away.